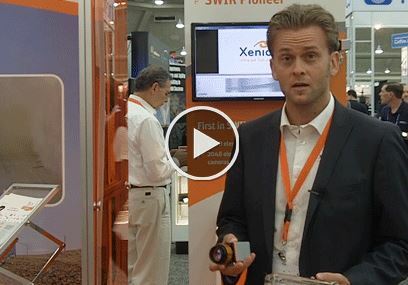 Xenics’ Xlin 1.7 3000 is an InGaAs SWIR line-scan detector that offers 3000 pixel resolution, currently the best resolution in the detector market. 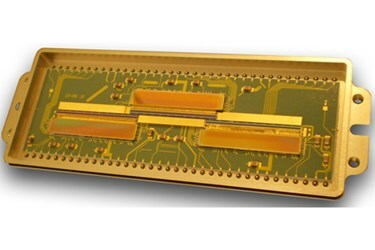 It’s ideal for applications involving push-broom imaging, airborne high speed sensing, earth and vegetation observation, and spaceborne high speed remote sensing. Most notably, three of these detectors were launched aboard the ESA satellite Proba-V in order to map crop and vegetation patterns across earth in May of 2013. In addition to providing the highest resolution currently available for SWIR line-scan detectors, the Xlin 1.7 3000 offers high line rates, low noise, and high sensitivity and quantum efficiency, making it ideal for low illumination level operations. The detector’s architecture is set up so that three InGaAs photodiode arrays form a nearly continuous line of 2900 pixels. This creates high resolution with a 25 µm pitch, allowing for more accurate inspection and smaller particle detection. For more information on the Xlin 1.7 3000, download the datasheet. You can also watch Raf Vandermissen’s video from the DSS 2013 show for more information on the detector. Visit Xenics’ website for more information.